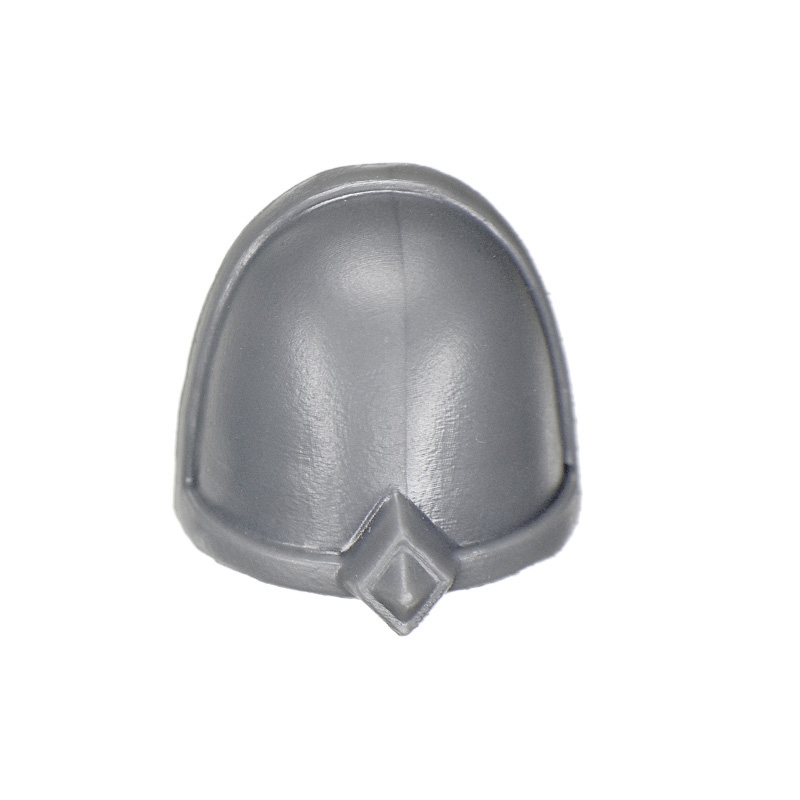 This is a Space Marine shoulder pad out of the Warhammer 40,000 Thunderwolf Cavalry box. The thunderwolves come from the cold of the fenrisian North. These bloodthirsty creatures have powerful jaws, which are equipped with razor-sharp teeth. Thunderwolves can break easily even the toughest armour. The honor to curb the unbridled ferocity of a Thunderwolf is reserved only for the most skilled Space Wolves. This chosen Space Marines ride one of these broad-shouldered mystical creatures on the battlefields of Warhammer 40,000 as part of the elite Space Wolves Thunderwolf cavalry.